In this post we look at data recovery from a hard drive with a constant light showing, another that isn’t showing up after a fall and discuss the costs for data recovery. My USB hard drive has stopped responding and I have a lot of info on it. I need the data back and perhaps you can help? We have a Western Digital My Book Live Duo which today, appears to of failed. There is a constant yellow light and after a little research would suggest that there is an OS loading issue or we have a ‘brick’. 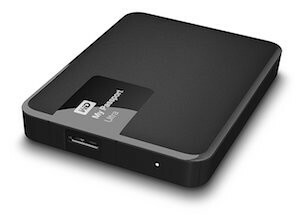 This drive is holding a lot of important information which we need constant access to for the day to day running of the business. I think ultimately, we either need this drive up and running asap or all of the data rescued and transferred to another device for us to access asap so as not to affect the business. The drive fell on the floor and stopped working. It’s a Toshiba Store.E 2TB external drive that won’t fire up. Makes brief revving / accelerating noise then doesn’t spin up. tries several times before giving up. possible power issue? have tried with different cables no change. Therefore I’m just making a speculative query about the ball park costs for data recovery in cases where information has been recorded and stored in a proprietary software format that has now become obsolete. What are the costs associated with recovering such data onto open file formats in a large organisation? Unfortunately it’s usually bad news when a hard drive falls onto a floor. What results is the hard drive will no longer show up on the computer and instead you’ll hear a revving, ticking or beeping noise. These noises are indicative of the hard drive having a severe mechanical problem (caused by the fall). If these symptoms are familiar with a problem you are experiencing then don’t keep trying to get the hard drive to work. There’s no point. There’s a physically damaged part inside the hard drive that must be replaced before it becomes possible for the data to be removed from the hard drive. 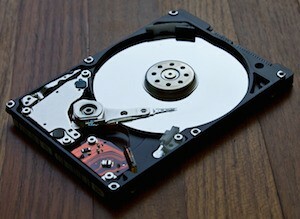 Data recovery from mechanically damaged hard drives is difficult – there’s no way that you should attempt it yourself. Don’t even let a PC shop try to do it – unless you don’t value the data on your hard drive – because a PC shop won’t have the skills necessary to recover it. How much is data recovery ? I’m trying to make a business case to my employer and need to give them an illustration of costs for data recovery. A general ball park figure would be perfectly acceptable. Please would you be able to advise me on this? Many thanks for your assistance. Data recovery typically costs anything from between £350 and £850. Prices vary depending on the problem the hard drive has and the complexity of the recovery. If you choose to send your hard drive to Data Clinic we’ll take a look at it and give you a cost for the recovery. It’s up to you if you wish to proceed.